Blue Velvet 3 Seat Sofa • Soft foam padded seating and large scatter cushions. • Velvet style polyester fabric. • Luxury and glamour. • Chrome style feet. • Hard wood frame. 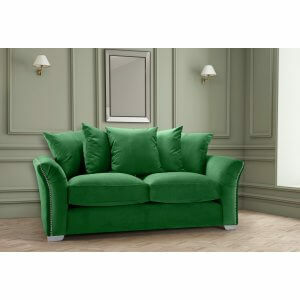 Green Velvet 3 Seat Sofa • Soft foam padded seating and large scatter cushions. • Velvet style polyester fabric. • Luxury and glamour. • Chrome style feet. • Hard wood frame. 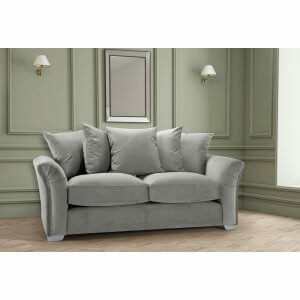 Grey Velvet 3 Seat Sofa • Soft foam padded seating and large scatter cushions. • Velvet style polyester fabric. • Luxury and glamour. • Chrome style feet. • Hard wood frame. Pink Velvet 3 Seat Sofa • Soft foam padded seating and large scatter cushions. • Velvet style polyester fabric. • Luxury and glamour. • Chrome style feet. • Hard wood frame. 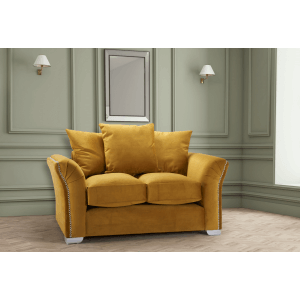 Gold Velvet 2 Seat Sofa • Soft foam padded seating and large scatter cushions. • Velvet style polyester fabric. • Luxury and glamour. • Chrome style feet. • Hard wood frame. Blue Velvet 2 Seat Sofa • Soft foam padded seating and large scatter cushions. • Velvet style polyester fabric. • Luxury and glamour. • Chrome style feet. • Hard wood frame. Green Velvet 2 Seat Sofa • Soft foam padded seating and large scatter cushions. • Velvet style polyester fabric. • Luxury and glamour. • Chrome style feet. • Hard wood frame. Turquoise / Teal Velvet 2 Seat Sofa • Soft foam padded seating and large scatter cushions. • Velvet style polyester fabric. • Luxury and glamour. • Chrome style feet. • Hard wood frame. 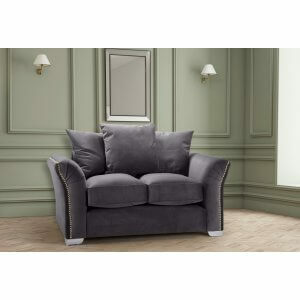 Grey Velvet 2 Seat Sofa • Soft foam padded seating and large scatter cushions. • Velvet style polyester fabric. • Luxury and glamour. • Chrome style feet. • Hard wood frame. 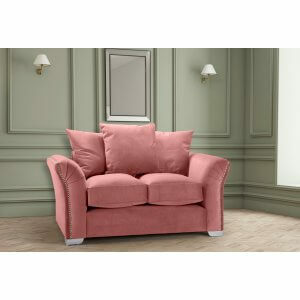 Pink Velvet 2 Seat Sofa • Soft foam padded seating and large scatter cushions. • Velvet style polyester fabric. • Luxury and glamour. • Chrome style feet. • Hard wood frame.